July 30, 2013 Pittsburgh Pirates released 3B Brandon Inge. July 23, 2013 Pittsburgh Pirates designated 3B Brandon Inge for assignment. April 23, 2013 Pittsburgh Pirates activated 3B Brandon Inge from the 15-day disabled list. April 3, 2013 Pittsburgh Pirates sent 3B Brandon Inge on a rehab assignment to Indianapolis Indians. March 31, 2013 Pittsburgh Pirates placed 3B Brandon Inge on the 15-day disabled list retroactive to March 26, 2013. Right shoulder injury. March 27, 2013 Pittsburgh Pirates selected the contract of Brandon Inge from Indianapolis Indians. March 26, 2013 Brandon Inge assigned to Indianapolis Indians. March 25, 2013 Brandon Inge assigned to Indianapolis Indians. February 13, 2013 Pittsburgh Pirates signed free agent 3B Brandon Inge to a minor league contract and invited him to spring training. 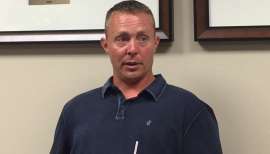 November 3, 2012 3B Brandon Inge elected free agency. October 29, 2012 Oakland Athletics activated 3B Brandon Inge from the 60-day disabled list. September 23, 2012 Oakland Athletics transferred 3B Brandon Inge from the 15-day disabled list to the 60-day disabled list. September 6, 2012 Brandon Inge roster status changed by Oakland Athletics. September 2, 2012 Oakland Athletics placed 3B Brandon Inge on the 15-day disabled list. September 1, 2012 Oakland Athletics activated 3B Brandon Inge from the 15-day disabled list. August 23, 2012 sent 3B Brandon Inge on a rehab assignment to Sacramento River Cats. August 14, 2012 Oakland Athletics placed 3B Brandon Inge on the 15-day disabled list retroactive to August 12, 2012. Sprained right shoulder. May 28, 2012 Oakland Athletics activated 3B Brandon Inge from the 15-day disabled list. May 25, 2012 sent 3B Brandon Inge on a rehab assignment to Sacramento River Cats. May 17, 2012 Oakland Athletics placed 3B Brandon Inge on the 15-day disabled list retroactive to May 13, 2012. Strained right groin. April 30, 2012 Oakland Athletics signed free agent 3B Brandon Inge. April 26, 2012 Detroit Tigers released 2B Brandon Inge. April 14, 2012 Detroit Tigers activated 2B Brandon Inge from the 15-day disabled list. April 10, 2012 sent 3B Brandon Inge on a rehab assignment to Toledo Mud Hens. April 3, 2012 Detroit Tigers placed 3B Brandon Inge on the 15-day disabled list retroactive to March 30, 2012. Left groin strain. 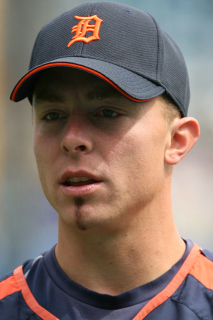 August 20, 2011 Detroit Tigers selected the contract of 3B Brandon Inge from Toledo Mud Hens. 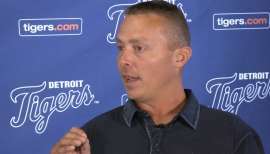 July 26, 2011 Detroit Tigers sent Brandon Inge outright to Toledo Mud Hens. July 21, 2011 Detroit Tigers designated Brandon Inge for assignment. June 23, 2011 Detroit Tigers activated 3B Brandon Inge from the 15-day disabled list. June 16, 2011 sent 3B Brandon Inge on a rehab assignment to Toledo Mud Hens. June 3, 2011 Detroit Tigers placed 3B Brandon Inge on the 15-day disabled list retroactive to June 1, 2011. Mononucleosis. August 4, 2010 Detroit Tigers activated 3B Brandon Inge from the 15-day disabled list. August 3, 2010 sent 3B Brandon Inge on a rehab assignment to West Michigan Whitecaps. July 20, 2010 Detroit Tigers placed 3B Brandon Inge on the 15-day disabled list. Fracture in his left hand.